Since our last 2 auctions have been online only we have been getting a lot of questions as to why an online only, why not a live auction? I thought this was a good time to try and help folks understand just exactly how and why we make that determination. When we meet with a client who is wondering about an auction, our first and main goal is to see if the client has enough to have their own live auction. Many may have a lot of items, but do they have a lot of items of value? You might be asking why does it matter? Well there is a lot to putting on a live auction. For example, do they need to rent a facility? Do they need to hire labor to pack, load, unload, unpack and setup for the auction, do they need a way to get the items to the facility? All these are potential costs to the seller. Plus on top of those costs the seller has to pay for advertising and a commission to the auction company for their services. It can all add up real quick and if they don’t have a high dollar sale, all their costs can eat up any profit they may have made or worse case scenario it could cost them money. So we are always looking out what is in the best interest of our client. Online only auctions are a lot less expensive and simpler for the client. The items typically do not leave their place, so no additional labor in packing, loading, unpacking, unloading & trucking. There is no renting of facilities and advertising costs are a lot less. They of course still pay the auction company a commission for their services but the best part of being online is their items get worldwide exposure and potentially bring more money. Are they less work for the auction company? Actually they are probably more work, other than the actual auction day. When writing up a live auction an auction company can get by with the famous “many more items to numerous to mention” and folks will show up auction day and get to see those “miscellaneous” items. With an online only, any and all items the client wants to sell have to be listed and photographed so everyone can see whats selling. Plus all items have to be lotted and the auction company is responsible for overseeing load out after the auction. Are live auctions going to be a thing of the past? No I don’t think so, there are still going to be auctions that will do best as a live auction. The way we look at online only auctions is they are just another tool, another option we have available to help people out. Before online only we would have either had to turn them down, or tell them they have to wait and put it with someone else’s things. Believe me as an auctioneer I would much rather have a live auction as I love calling bids and the interaction with the crowd. The ultimate auction in my book is a simulcast auction, a live auction with live internet bidding. The client gets the best of both worlds. But the bottom line isn’t about what I want, or what we (Old West) want, or even what our buyers want, its like I said earlier, its about whats in the best interest of our clients, the sellers….how can we get them the best return on their items. And sometimes that’s the online only method. So if you haven’t checked one out yet be sure and do so. They are alot of fun too and in some ways slightly addictive. And who doesn’t like the comfort of being able to sit in their easy chair and bid in their pajamas? 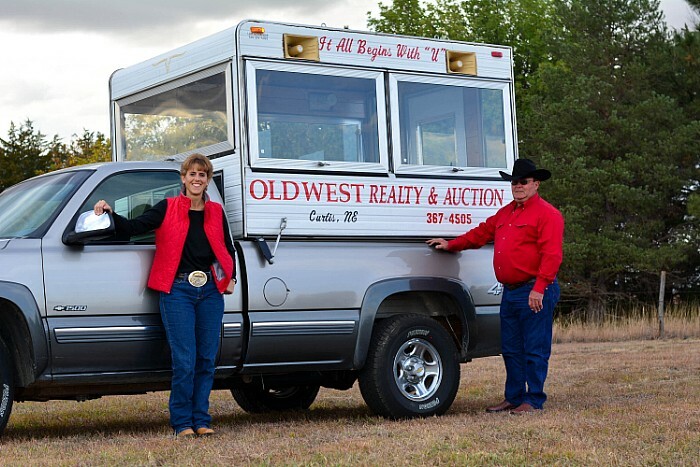 Happy Bidding and until next time…..
Lindy Elson & Terry Elson celebrate 50 years in the Auction Industry! 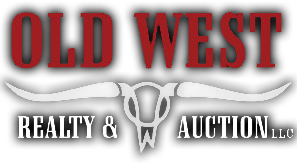 “Auction Time” is an “on-line only” service offered by Old West Realty & Auction, LLC, through the popular and well know “Tractor House” company. We are very excited to have been selected as one of their representatives serving southwest Nebraska and we look forward to be able to offer this service to our customers. “Auction Time” online auctions allow you, the seller, to list your quality equipment on any upcoming on-line only auction and receive worldwide exposure for your equipment, not only on the website, but through weekly “Auction Time” catalogs and the “Tractor House” network. Contact Lindy or Regina today to discuss your equipment sale options through “Auction Time”.